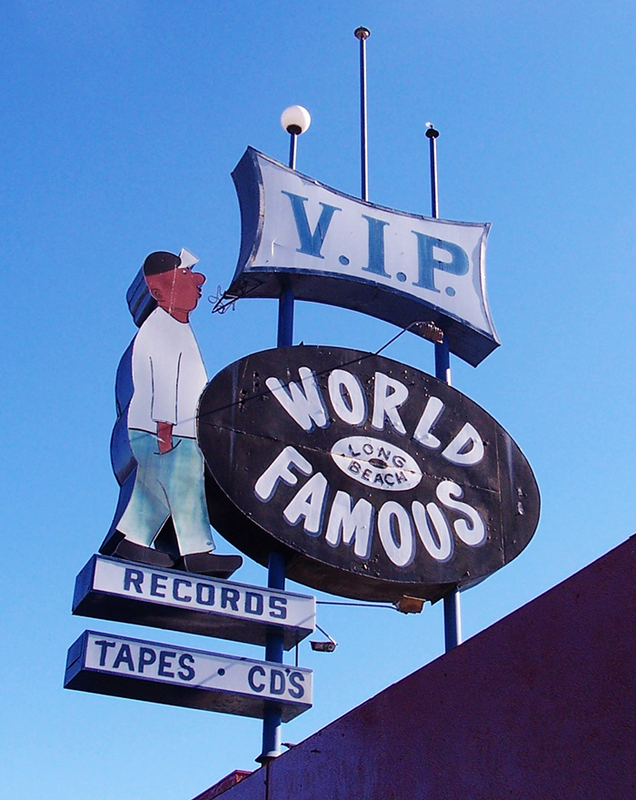 VIP Records, the place where Snoop Dogg recorded the demo that got into the hands of Dr. Dre and launched his music career, is petitioning to preserve its iconic sign as a historical landmark and open the World-Famous VIP Museum and Creative Arts and Technology Center. After more than 38 years of business, the store has been forced to downsize due to a changing music industry. Owner Kelvin Anderson has been self-funding the operation of the store, an arrangement he is no longer able to sustain. If Anderson loses ownership of the building lease, the sign will be stripped and repurposed, and the legacy will be lost. Anderson formed a petition to urge the City of Long Beach to preserve VIP Records by protecting all legal rights and ownership of the sign, designating the sign as a historical landmark, donating city land or a building to move the sign and build the World-Famous VIP Museum and Creative Arts and Technology Center, assisting in securing all permits and approvals in the process of moving the sign and naming a nearby street, World Famous VIP Way. The petition, which started on March 2, currently has 1,290 signatures on Change.org from locals as well as people all over the world as of Monday evening. Anderson has no specific goal for how many signatures he wants to acquire. However, he plans to present the total signatures to city council members to motivate them to proceed with the proposed plans. Decades ago, VIP Records included a studio for young artists, used by the likes of DJ Quik, Nate Dogg, Snoop Dogg, Warren G, Radio, Dazz and Domino, as a safe place to produce music. After Snoop signed to Dr. Dre, he took VIP Records worldwide, dancing on the rooftop near the sign in the video for his track, “Who Am I (What’s My Name? ),” in 1993. In 2015, Anderson was planning to officially close the record store. He even put the internationally-known sign up for sale on eBay for a minimum bid of $50,000. He changed his mind after discussing with a city representative the possibility of having the sign owned by the City of Long Beach. Anderson ultimately decided to take down the advertisement, which had increased to $170,000, and reopen the shop near the original location while the city discussed purchasing ownership of the sign. While waiting to hear back from the city council, Anderson conjured up the idea of partnering with the city and opening the World-Famous VIP Museum and Creative Arts and Technology Center, dedicated to the history and evolution of music and musical technology. It would also include a recording studio and radio station as well as provide lessons for youth and young adults to develop computer skills and life-management skills.